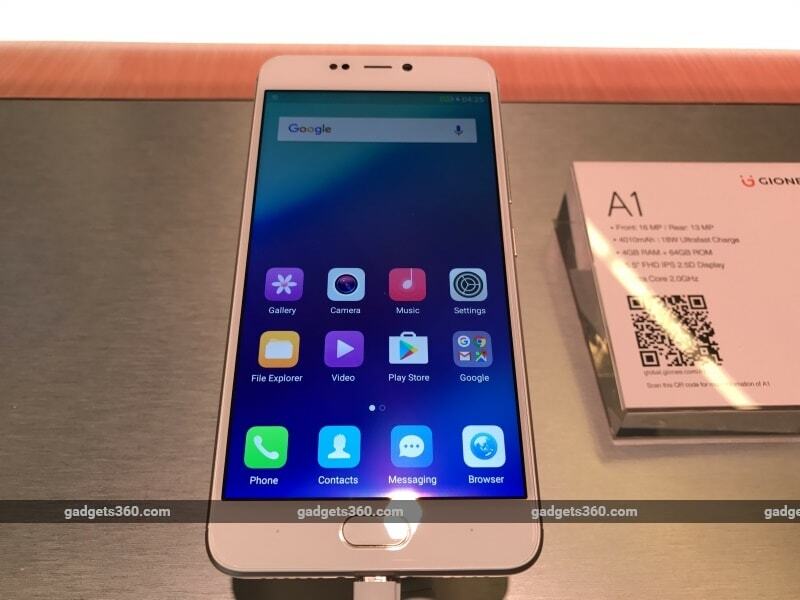 Gionee A1 and A1 Plus, the first smartphones in Gionee’s new A-Series of smartphones, have been launched at the company’s MWC 2017 event in Barcelona on Monday. Price has yet to be revealed, though the company announced March availability for the Gionee A1 and April availability for the A1 Plus. The highlights of the two new A-Series smartphones, according to Gionee, are long-battery life and superior selfie photo quality. The Gionee A1 sports a 4010mAh battery, while the Gionee A1 Plus sports a 4550mAh battery. The company is touting its new 18W ‘ultrafast charging’ that charges the batteries fully in 2 hours. As for the selfie aspect, the Gionee A1 features a 16-megapixel front-camera while the Gionee A1 Plus has a 20-megapixel front camera with an f/2.0 aperture, 1/2.8-inch sensor, and selfie flash. The A1 Plus also bears a dual rear camera setup, with 13-megapixel and 5-megapixel sensors with an f/2.0 aperture, 1/3.06-inch sensor, and flash module that integrates and IR remote control sensor. The A1 only has a 13-megapixel rear camera. Both smartphones run Android 7.0 Nougat, and are dual-SIM offerings. The Gionee A1 Plus sports a 6-inch full-HD (1080×1920 pixels) display, and runs on a MediaTek Helio P25 SoC with 4GB of RAM. It offers the standard connectivity options, including 4G, and comes with 64GB of inbuilt storage that’s expandable via microSD card (up to 256GB). It will be available in Grey, Mocha Gold colour variants. It measures 166.4×83.3×9.1 and weighs 226 grams. The Gionee A1 on the other hand sports a 5-inch full-HD (1080×1920 pixels) display and is powered by a MediaTek Helio P10 SoC. It comes with 64GB of inbuilt storage that’s expandable via microSD card (up to 256GB). It measues 154.5×76.5×8.5mm and weighs in at 182 grams.